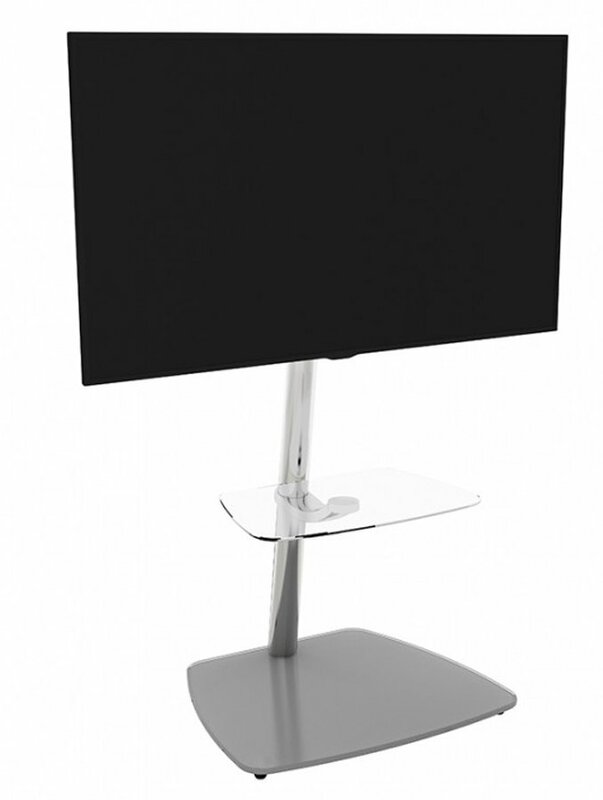 The Iseo range offers a simple yet elegant cantliever design for any living room. 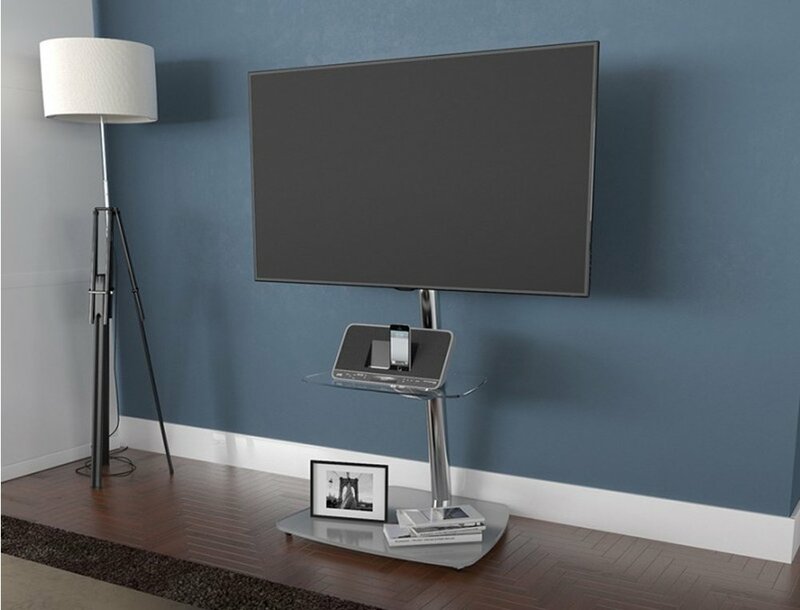 The Iseo is an affordable and practical TV stand which slots easily into any corner, saving valuable floor space. 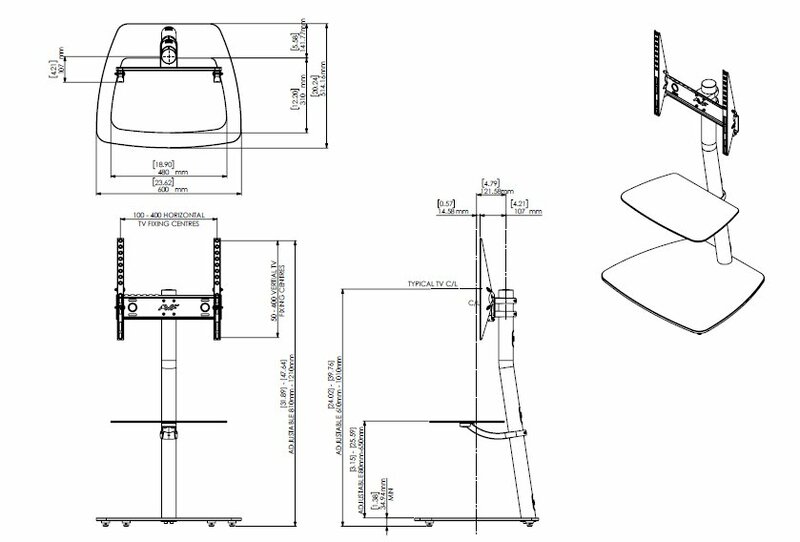 This stand is extremely easy to assemble and has been safety tested to British Standards. Please note: Screens larger than 40" may overhang the stand at the sides, this is perfectly safe & normal. All measurements supplied are for overall sizes. Please check your product or contact us if unsure. Please note if mounting a screen with the legs to the edge of the screen please check the distance between these to avoid compatibility issues. Looks really modern and elegant. Good use of space and strong! Looks great, nicely finished, stable even with 55” TV attached and good shelf space. Cables can be routed through pillar although they have to come out somewhere of course. Took a bit of Manipulation to get arm over the pillar where cable access was punched out. I had to go to B&Q to find a screw suitable to secure the shelf. The shaft for the cables need to be wider to hide the cables more effectively.